Your child can't wait to go to Hogwarts! Unfortunately, they're just a few years too young, still. 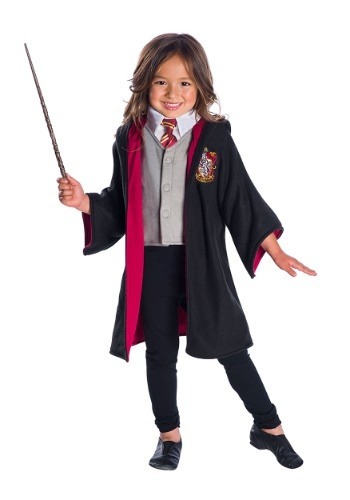 So, just like many wee wizards and witches before them, they'll need to stand on Platform 9 ¾ and wave farewell to their older siblings, longing for their own time to be sorted (into Gryffindor, by the looks of this outfit)! 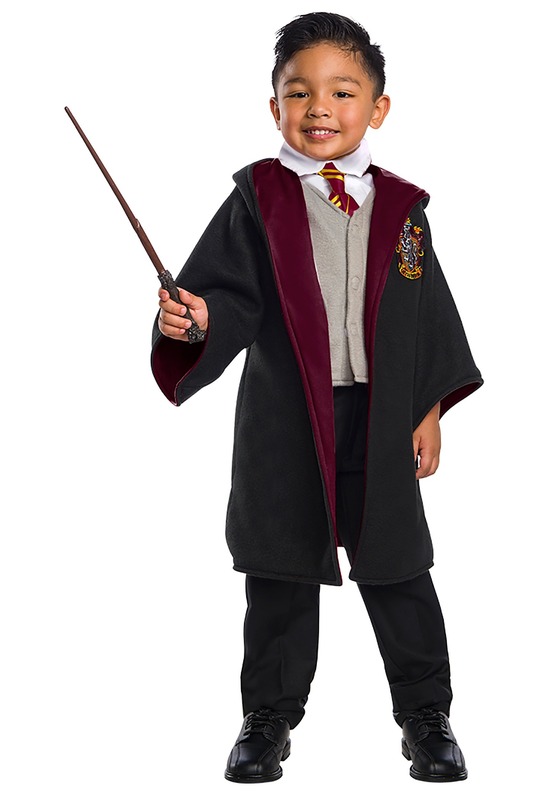 In the meantime, how about giving them this Toddler Harry Potter Uniform to help make their days at home feel more magical? They can pretend to be the "boy who lived," while reading up on Hogwarts history, studying old Quidditch footage, and memorizing the Maurader's Map! The time will fly by in this fun and fanciful costume, and before they know it, they'll be stocking up on robes and parchment in Diagon Alley, and buying Pumpkin Pasties and Chocolate Frogs and Every Flavor Beans from the trolley on the Hogwarts Express! This is a licensed look taken straight from your kiddo's favorite books and films! The red and gold accents will instantly mark your tot as Gryffindor-bound, as does the Gryffindor house crest emblazoned on the black robe. Now that they have their uniform all sorted, you'll need to take them for wand selection and school shopping—in a few years. For now, give them a hand-me-down wand (or wooden spoon) and have them learn basic incantations and spells. They won't be able to conjure any magic yet, so the Ministry won't find out! While your little wizard is busy planning for trips to Hogsmeade, potions projects, and learning to fly on a broom, you're still enjoying the magic of having them home with you. This costume makes both of your dreams come true and looks particularly cute as they nap on the couch, dreaming of dragons and draughts (and more Pumpkin pasties). Simply magical.